A. This isn’t an internship; it’s illegal. Before things get worse, talk with your boss about a better structured internship–a program that demonstrates you’re willing to work in exchange for the educational experience. Your supervisor may simply need to be reminded of the reason you are there–and it’s not to replace someone they should be paying. Don’t make it just about yourself. Mention logical things that would provide an intern with a rewarding educational experience while doing some related work in return for the opportunity. If your employer continues to say there isn’t time to provide such an experience, you should request that they pay you. You can cite government regulations that cover such unpaid internships. The U.S. Department of Labor regulations suggest that your current position should be paid, not unpaid. Don’t use this “card” unless your first approach is rejected. If both approaches fail, get out of there. 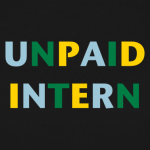 As I’ve written in previous posts, I am not a fan of unpaid internships. I make exceptions for non-profit institutions. In the case of your unpaid internship, your employer is getting far more than what they’re paying for. You’ll be doing them and future interns a favor if you help them develop a meaningful and legal internship program.